With over 125 crias on the ground and 10 Get of Sire wins he's established himself as one of the elite herdsires in the country. His 12 month histogram of 12.8 micron, 2.6 SD and 0.3% + 30 is one of the finest ever tested. More impressive is that he's held that fineness and uniformity and dependably passes it to his crias. At Xanadu Farm full time. 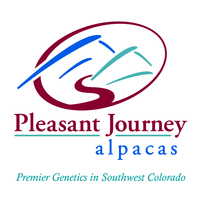 We have a few females bred to him and several of his blue ribbon daughters for sale. Often asked if we have a "white" program and typically we say no BUT now, we have a white program base! 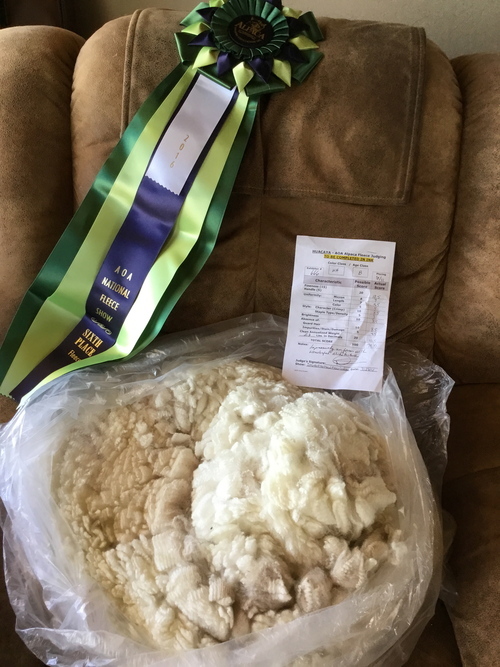 Purchasing Xanadu P Beatrix from Pamela Ray at FallFest 2015 Pen sale was a great move! This young female is absolutely LOVELY! Pulling two Reserve Color championships in her two shows makes us very happy and proud! Look at her incredible genetics! 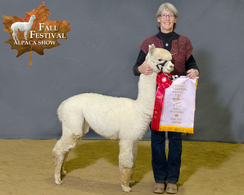 Her sire is Maple Brook Barnabus and her dam is Accoyo America Sheba. 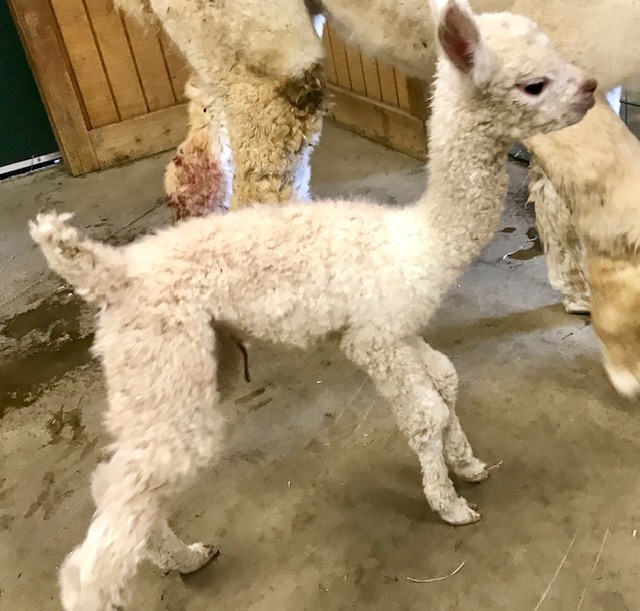 Beatrix is bred to Xanadu P Aristide for a November 2018 cria. Beatrix gave us a beautiful Beige female! Second Place FallFest 2016 - Sharon Loner- youngest in a class of 8! First Place TxOLAN 2016- Wade Gease- class of 7- wow, wow, wow were the judges comments!! 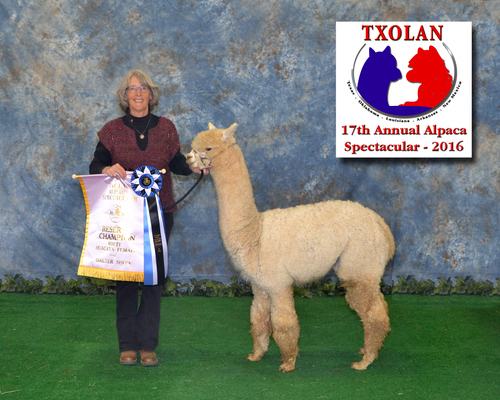 Reserve Color Champion TxOLAN 2016- Wade Gease- VERY Close competition to CC! Sixth Place 2016 AOA Nationals Fleece- White yearling female class of 11. Comments: "Impressively uniform with wonderful architecture".